Over the past ten years, having your super Sunday parties in Las Vegas has become the hot thing to do. Las Vegas, known as the “Entertainment Capital of the World” is no stranger to hip night clubs, fun attractions, and amazing amenities, but they also throw some memorable super bowl parties. Whether you decide to have the super bowl party in your own suite, on The Strip or attend one of the many events available in Las Vegas, you can’t go better than Nevada’s most popular destination. If you want to throw a party and will be in Las Vegas during super sunday weekend, you have dozens of choices. 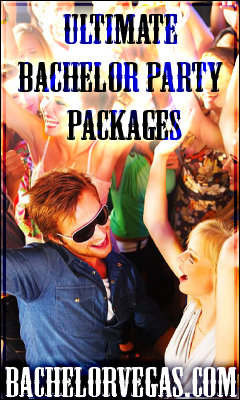 Hotel room parties are always a luxurious option for party-goers and can be a blast when combined with the super bowl and a group of friends. Several hotels on the strip and nearby accommodations also offer large suites with big screen TVs and full service staff for super bowl day. While there is a plethora of amazing options, consider the Four Seasons with their 3,000 square foot presidential suite, large enough for the friends you brought and everyone you have met along the way. You can also get a fantasy suite from the Palms with exceptional amenities and plenty of room for a super bowl hotel party. You should also double-check before planning the party that the channel with the super bowl will be available and that the TV in your room is working properly. Las Vegas knows how popular super bowl events are. Therefore, many hotels and night clubs on The Strip and nearby cater to the football fan crowd. Events include the Super Sunday Bash at the Cabo Wabo Cantina, the super bowl party at the Casa Di Amore, and watching football at the Stratosphere Hotel with stadium style seating. Also consider hitting up the Super Bowl at Mandarin Bar at Mandarin Oriental, Super Bowl at the Cosmopolitan Hotel or watch the game and consume bottomless beer at Gilley’s at Treasure Island. Football fans can also watch the game on 100 screens with stadium seating at the Skybox Sports Bar and Grill at Aria. Your last option is to find a super bowl party package from a Las Vegas-based company, saving you time and money with prepackaged discounts and the finest amenities. Many different companies offer fantastic packages that include endless supplies of wings and chips, large screen TVs, surround sound, comfortable seating, open bars, and more. With a package, you won’t need to worry about ordering enough food or running out of alcohol as it is all taken care of for you. There is certainly something for everyone who plans to hit up Las Vegas on super bowl Sunday. Vegas’ local restaurants and bars pull out all the stops with an incredible spread of delicious food, ice cold beverages, and the big game on the big screen – just like the super bowl’s supposed to be watched. This entry was posted in Events, Las Vegas. Bookmark the permalink.